Things that I’ve been up to! In lieu of an actual post about all the things I’ve been doing, here is a list of links to them! Last Friday I spoke at the CSIRO Staff Association’s International Women’s Day luncheon. You can read (basically) what I said here. 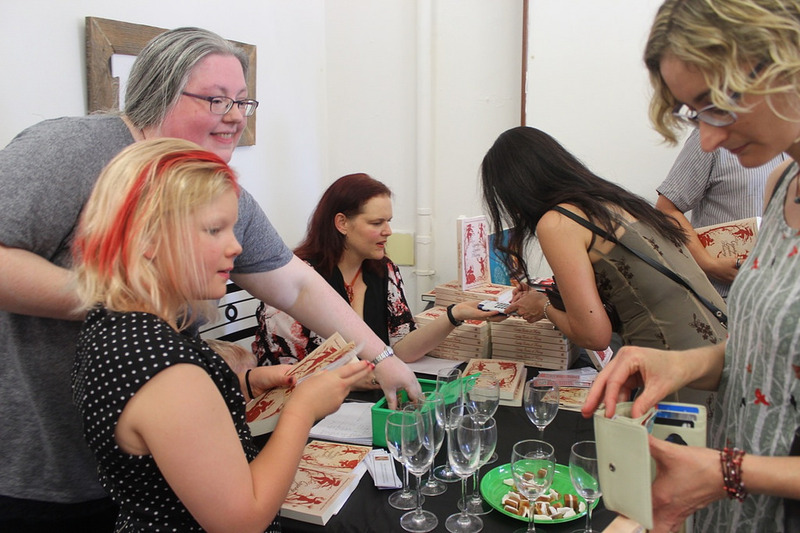 On Sunday we launched Cranky Ladies of History out into the world! Photos and launch report here. We’re running a series of guest blogs by our wonderful contributors about their Cranky Ladies stories to celebrate Women’s History Month and the book. Check them out at the FableCroft site here. I’m running for NAFF, a fan fund to get fans to the annual Natcon (this year it is Swancon in Perth) — information and voting here. On top of that, I had Tansy to visit on the weekend and we managed not to commit projects while she was here, despite lots of talking about things! And we’re now in week 6 at work and the term is half over and how does that even happen? !